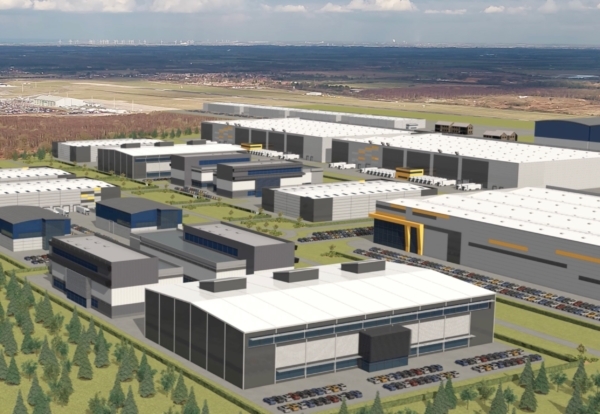 Peel Land has submitted plans for a 3.5m sq ft logistics and advanced manufacturing hub on land adjacent to Doncaster Sheffield Airport. Peel said the site has the potential to make a major contribution towards the growth ambitions of Doncaster and the wider Sheffield City Region. It is a key component of the recently consulted upon Airport Masterplan, and has been included as a draft allocation for employment development in the emerging Doncaster Local Plan. The plan is being progressed to meet growing market need for large-scale regional logistics and manufacturing sites and the continued growth in e-commerce. Robert Hough, chairman of Peel Airports said: “This proposed development is further evidence of our delivering on our Vision for DSA and Aero Centre Yorkshire. In 2017, Aero Centre Yorkshire was selected as part of the Government’s Northern Powerhouse Investment Portfolio, one of only 12 projects selected to help attract significant investment to the North. The 1,600 acre site is already home to over 100 companies including 2 Excel Aviation, Cessna, Redline and Anglo World Cargo. The project team includes architect Fletcher Rae, consultants Aecom, Bickerdike Allen and planning consultant Turley.